I had originally planned to do Lake Louise and Moraine Lake on two days, but it was such a long drive from our hotel (about an hour and a half) that we combined them into one day, which actually turned out to be plenty. 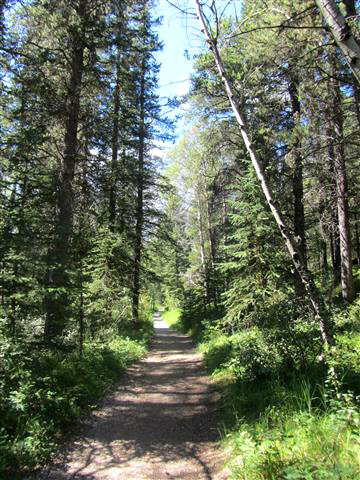 That left us with an extra day to explore the Banff area, which turned out to be great. First we went to the Hot Springs. It’s basically a giant hot tub fed by water heated from its pass under Sulphur Mountain. The girls were really afraid it would be stinky like the Cave and Basin but you actually could hardly smell the sulphur. It was absolutely delightful – this was, I think, my most favourite thing on the whole trip. So, so deliciously warm, with the mountains all around you – bliss. Tip for the hot springs, in case you are ever there: bring some moisturizer. Afterwards we felt rather shriveled and ended up buying a $21 tub of moisturizer at the Body Shop on Banff Avenue in desperation. 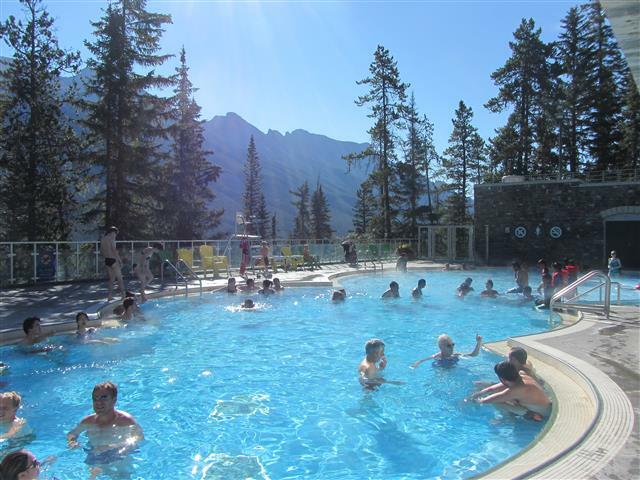 I should also note that we made it a point to get up and get to the hot springs first thing in the morning – it opens at 9 a.m. – and as a result the pool was quite empty (about 30 people in it, when the max is over 200). Definitely more pleasant. 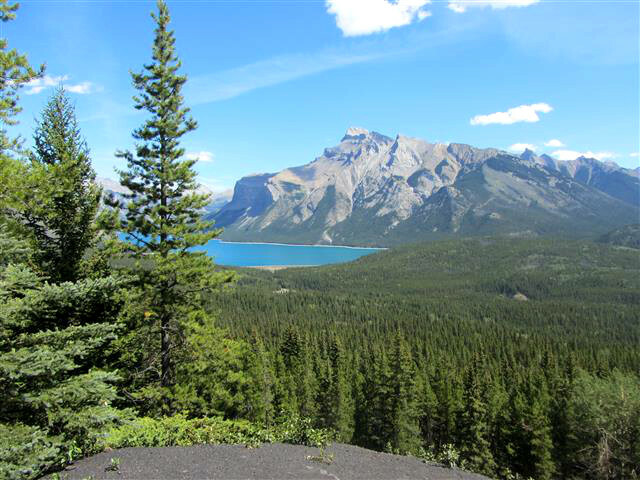 After that we decided to drive the Lake Minnewanka Loop, which is a driving trail with several small hiking trails branching off of it. You can also go for a boat tour or a canoe on the lake itself. 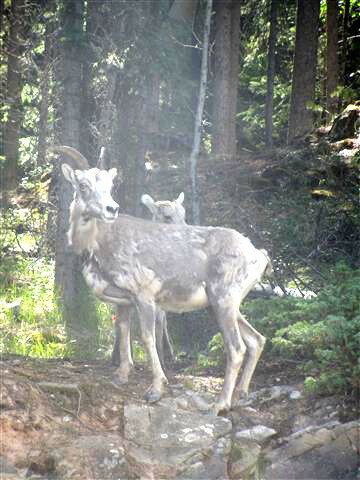 Our major goal was to see Bighorn Sheep – Gal Smiley loves sheep and we’d heard that a sighting was practically guaranteed on Lake Minnewanka. First we did a little hike, up the Upper Bankhead Trail, to see an old abandoned coal mine. The mine was cool, the view was stunning, there were literally lumps of coal just sitting around for you to pick up, and I almost had a second heart attack on the climb up. Fun! See that black stuff at the bottom of the lake view photo above? That’s literally just coal, sitting there. The Captain wanted to fill his pockets and make his first million but we convinced him to leave it where it was. Then we drove on to the lake, and as advertised there was a herd of sheep right along the road. We pulled over and had an amazing close encounter where the sheep walked right in front of us before leaping up the mountainside with amazing grace and agility. 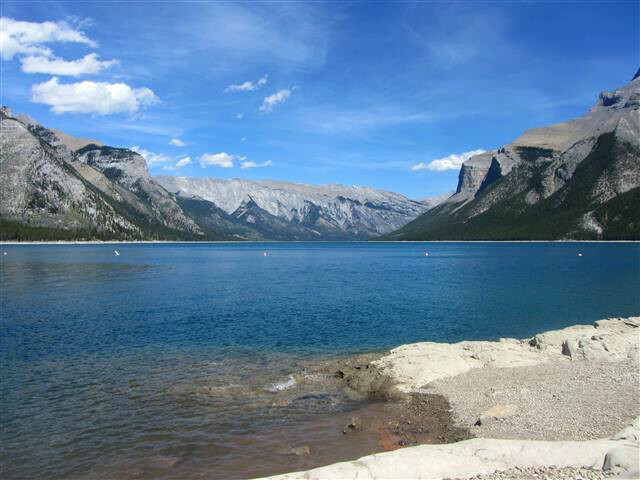 We hung around and skipped some stones in Lake Minnewanka for a bit before heading home. Verdict: I wanted to basically live at the hot springs, so yeah, definitely worth it. 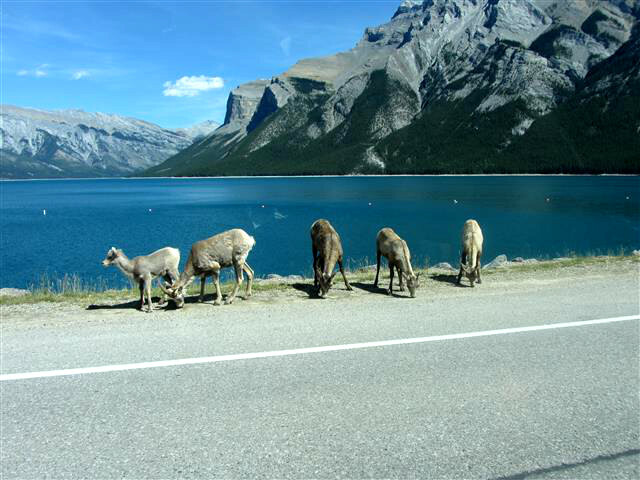 If you only had two days in Banff, I think you could squeeze in a hot springs somewhere and skip Lake Minnewanka, but it was worth it for us for the sheep factor.